Established in 2017 by ANS member and show host Doug Hardtmayer, RadioNuclear aims to cover all pertinent topics related to the nuclear industry. Bi-weekly episodes are available. These information-filled podcasts consist of recent news, plus a special guest. Hardtmayer, an engineer with MPR Associates, Inc. in Alexandria, VA. received his M.Sc. 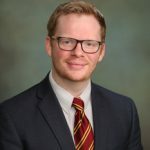 in nuclear engineering from Ohio State University in 2018, with a research focus on molten salts, electrorefining, and radiation detection. RadioNuclear is always looking for interesting guests, for insight on complex topics, or for dialogue on important nuclear issues. ANS members: If you would like to be a guest on the show, or know of another ANS member that is knowledgeable on a particular topic of interest, contact us. And be sure to check out Hardtmayer’s TEDx talk video about nuclear from April 2018. 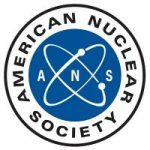 The American Nuclear Society is the premier society for nuclear industry professionals and advocates. Our individual membership ranks include more than 10,000 engineers, scientists, educators, students, and environmentalists. Society members hail from more than 1,600 corporations, educational institutions, and government agencies from over 40 different countries. More than 80 industry-leading companies support ANS as Organization Members. Our Vision: Nuclear technology is embraced for its vital contributions to improving people’s lives and preserving our planet. Our Mission: Advance, foster, and spur the development and application of nuclear science, engineering, and technology to benefit society. To join our community, please visit ans.org/join.